Obesity is threatening to become the biggest single threat to the nation's health. 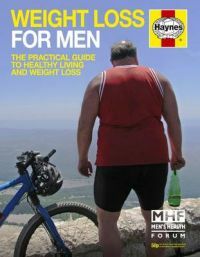 "The Weight Loss for Men Manual" offers down-to-earth advice to men on how to achieve and then maintain a healthy weight. Dr. Ian Banks' style is as robust and realistic as usual, with his personal experience of shedding three stone during the writing of the book turned to good account. This is not a diet book (though there are some good recipes in it!). Instead, following the tried and tested Haynes formula, there are detailed explanations of how the relevant parts of the body work, what happens if you're seriously overweight, and plenty of hints and tips on what to do about it. Dr. Ian Banks has written numerous popular health titles, including the best-selling Haynes Man and Baby manuals. He is also the author of the NHS Direct Health Care Guide, a frequent broadcaster, the President of the European Men's Health Forum and a practising casualty doctor.